It’s that time again, The Recipe ReDux time that is! 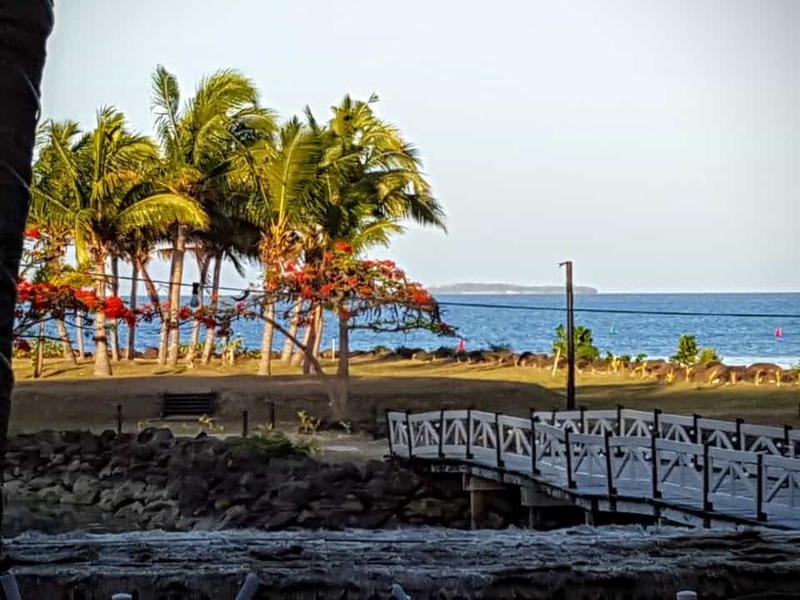 Immediately I knew I had to post a recipe for the amazing fruit Mr. CEO and I enjoyed in Fiji last year! I mean just look at this view, you can only imagine the plethora of yummy goodies we enjoyed daily for breakfast staring out at the ocean! Plus, we just got back from the Spartan Race in Hawaii and had our fair share of delicious fresh fruit there as well! Now, this fruit salad recipe is hands down one of the easiest things I’ve created here for you. Rest assured, it’s also one of the most delicious! The interesting part of this recipe is the “bowl” I’ve used to highlight the natural beauty of fresh fruit. Though I myself am allergic to melons (yes I know, total bummer), I know what nutrient powerhouses they are, especially watermelon. Leading up to the big Spartan Race I was feeding this to Mr. CEO like it was going out of style since it’s such a stellar source of nutrition, especially for athletes. Watermelon contains not only lycopene (an important phytonutrient that has stellar antioxidant properties), but also citrulline, an amino acid that is converted into arginine in the body. Arginine can then “play” with an enzyme in our bodies to help produce byproducts that can help ease muscle inflammation. AWESOME, right?! Anyways, I highly suggest having fun with this recipe and loading up on seasonal fruit. 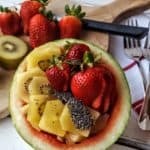 But, to really score big on this one, I suggest using the shell of the fruit (be it watermelon, cantaloupe, honeydew) as the bowl and loading it up with seasonal fruit. Top with nuts, seeds and even a yogurt of your choice! 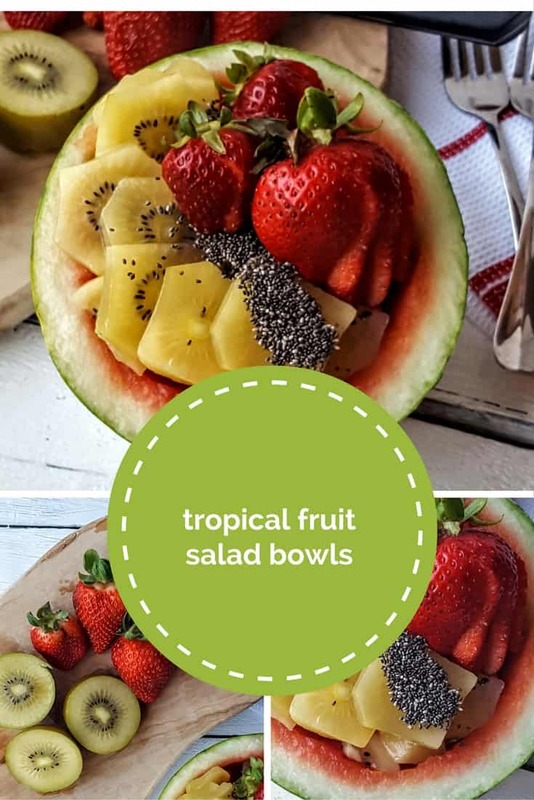 Truly the possibilities are endless when you play with your food in this Tropical Fruit Salad recipe! Disclosure: I received free Zespri Kiwifruit as part of an event that is used in this post. I was not asked nor compensated to write this post, nor is it associated with The Recipe ReDux monthly theme. Just an ingredient :)! 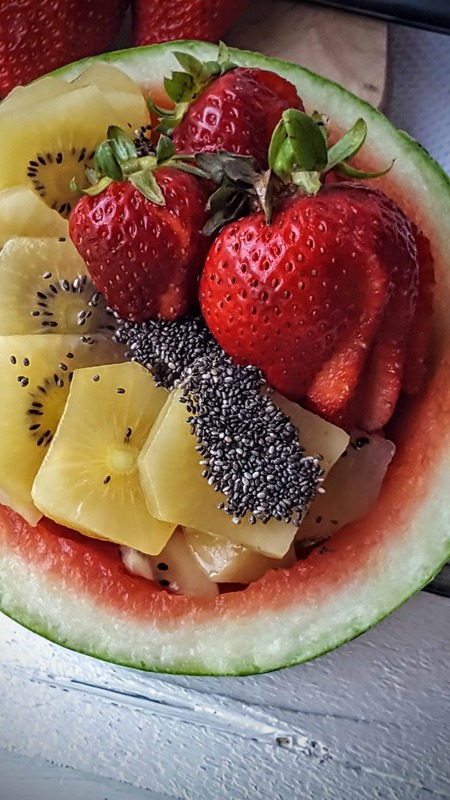 Dive into the tropics with this fresh Tropical Fruit Salad Bowl! Slice watermelon in half and remove inner flesh. Keep flesh and cut into 1" cubes. Slice kiwi and strawberries into 1/4" slices. 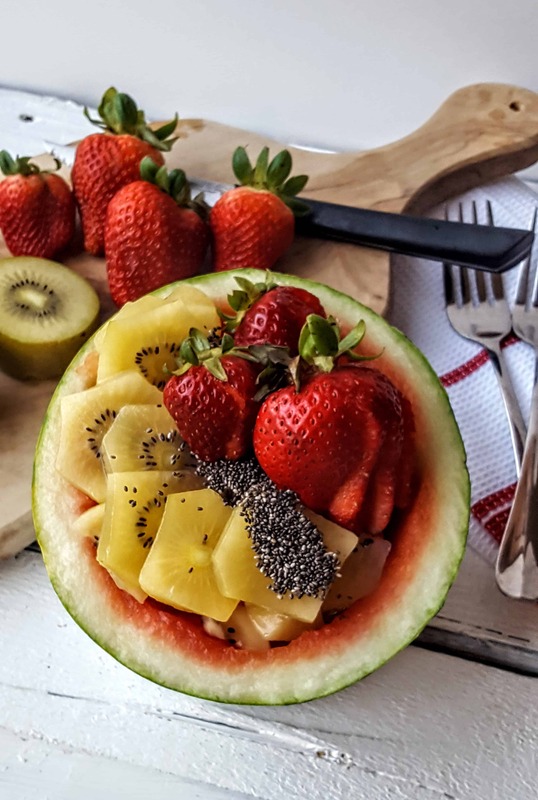 Combine watermelon cubes, sliced kiwi and strawberries in the "watermelon" bowl. Escape on another last minute summer vacay with these other great Recipe ReDux vacation inspired recipes below! Thanks Farrah!! I hope you enjoy! I love fruit salads, and yours looks so summery and delicious! LOL- I wish I wasn’t allergic! Here’s to hoping you become a fan!! This is so cute! I love the idea of stuffing watermelon with other fruits. And yummm to the chia seed toppings! Fruit salads are the best– so simple and so yummy! I love that you added chia seeds to yours! Thanks Courtney- got to get those omegas in somehow lol! I didn’t know you were allergic to melon! 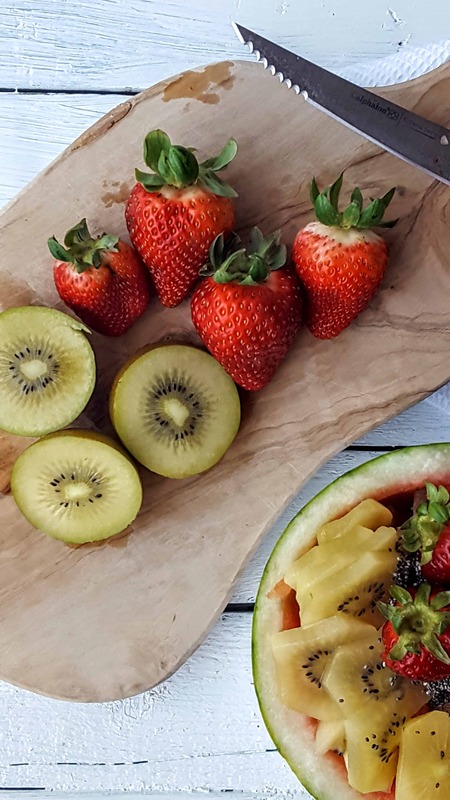 Glad there are so many other beautiful fresh fruits you can enjoy – this looks so refreshing! Such a bummer too! But thankfully, stone fruits are my jam! LOL. until you go there! This fruit salad is the perfect summer snack! Its so easy and quick to make there is just no excuse why someone couldn’t make this!! It doesn’t get any easier than this to take a little tropical vacation for the taste buds. I have everything in the fridge!